London Bubble Theatre are proud to be winners of the 2019 award for Innovation in SLCN at this years Shine a Light Awards. To celebrate the company is holding two free trainings for primary school staff at our base in Southwark. Join us to learn drama techniques to support speech, language and communication skills. Gain an understanding of a whole-body approach to communication, and how developing these skills can be engaging and fun for children and adults alike. 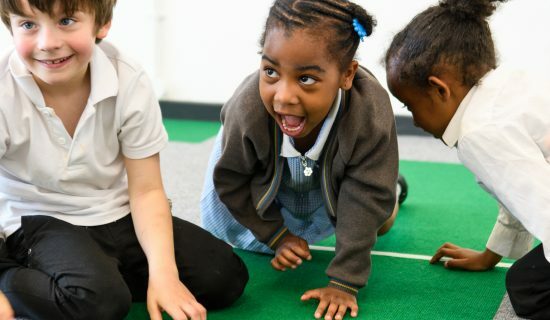 This two hour training will give an introduction to speech, language and communication needs (SLCN) and some practical drama approaches that can help children to develop their skills and confidence. This session will suit primary school staff and anyone with an interest in developing communication in a school environment. No drama experience is needed.